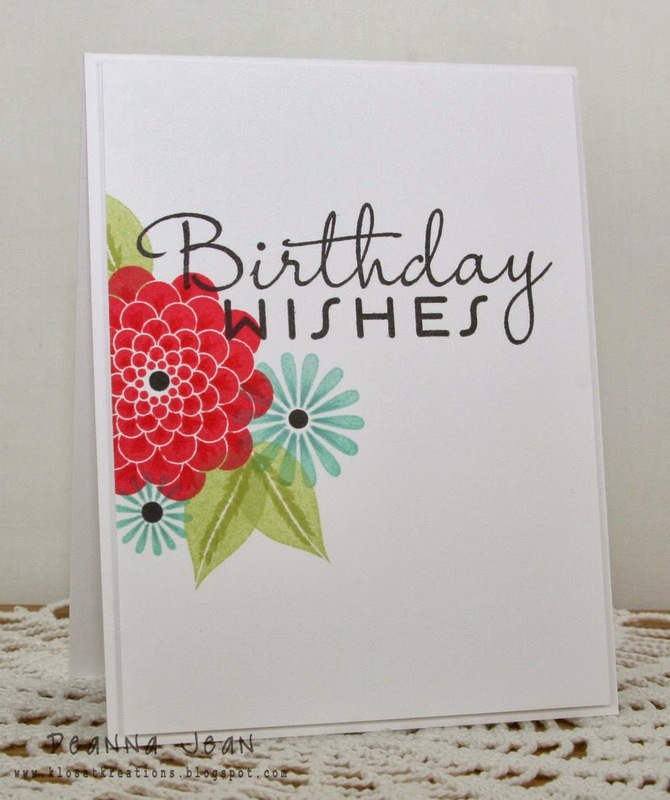 Challenge #6 ~ Birthday Cards ~ There's Still Time! 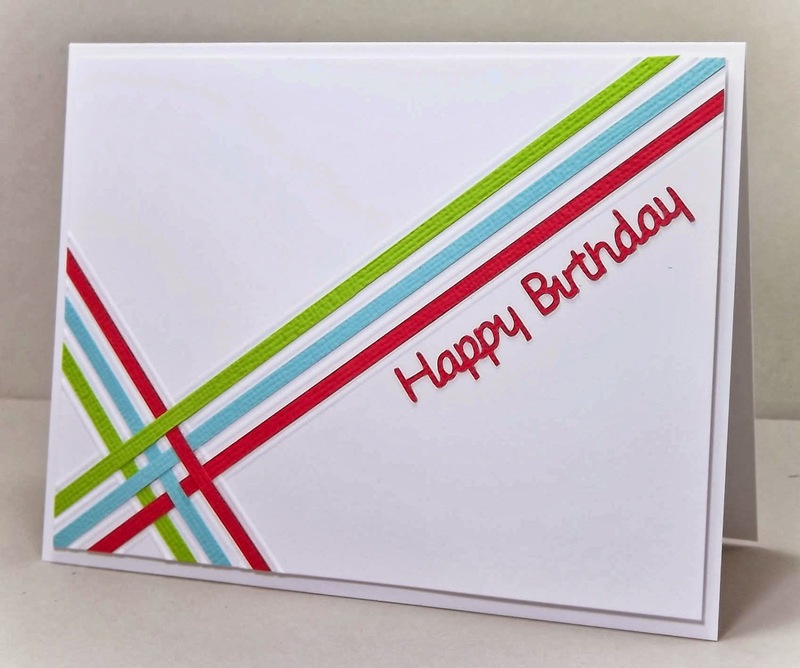 There is still plenty of time for you to play along with our current challenge - to create a birthday card. This challenge will end Monday, March 31st at noon (PST). As usual there are many eye-catching entries this week! Check them out for some inspiration. This challenge we have a new theme for you to try! You must use the theme and create your card in one of the styles of the designers. Inspired by the colours and the longing for spring to arrive I created a one layer garden. Hope to see one out my kitchen window soon! 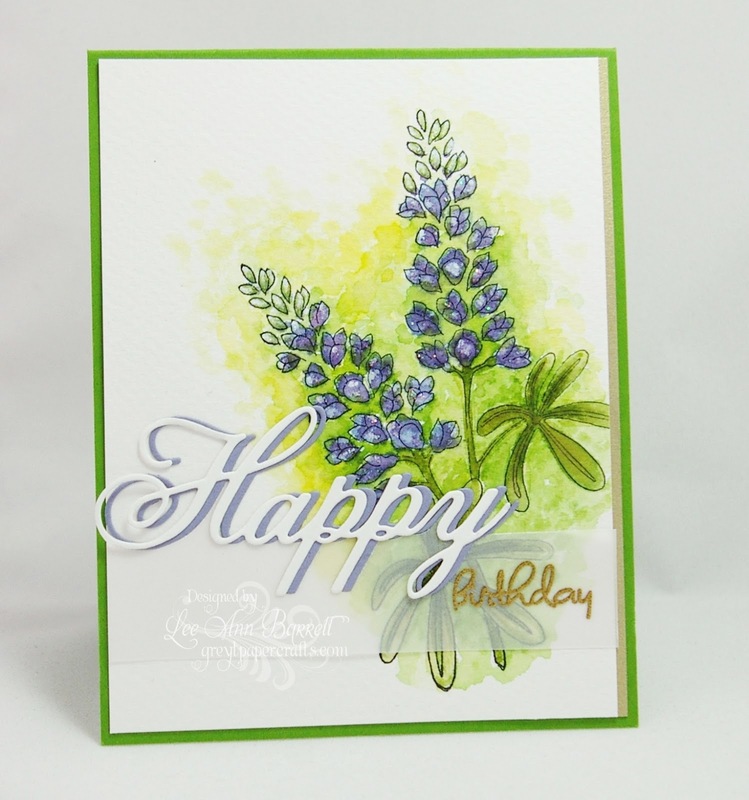 Keep your focal point to one side of your card to allow for lots of white space. Substitute complex shapes with circles for a clean and graphic design - simple, bubbly and fun! The angles of the stripes and sentiment create nice movement without compromising a clean & graphic style. I was inspired by the pretty colors in the inspiration photo. I couldn't figure out how to incorporate the blue, but I did use the salmon and green. My card doesn't even begin to resemble the inspiration photo, but it inspired me to use lots of white with pops of color! I was tempted to add a cake to my card but in the end I stuck with the pretty colours in the flowers from the inspiration pic. I was inspired by the colors - orange, green, yellow and blue and I anchored everything with white to make it come together. I created this for a masculine birthday -- I tried to approach a more 'clean' shabby chic style with lots of layers and embellishments instead of lace and flowers this week! 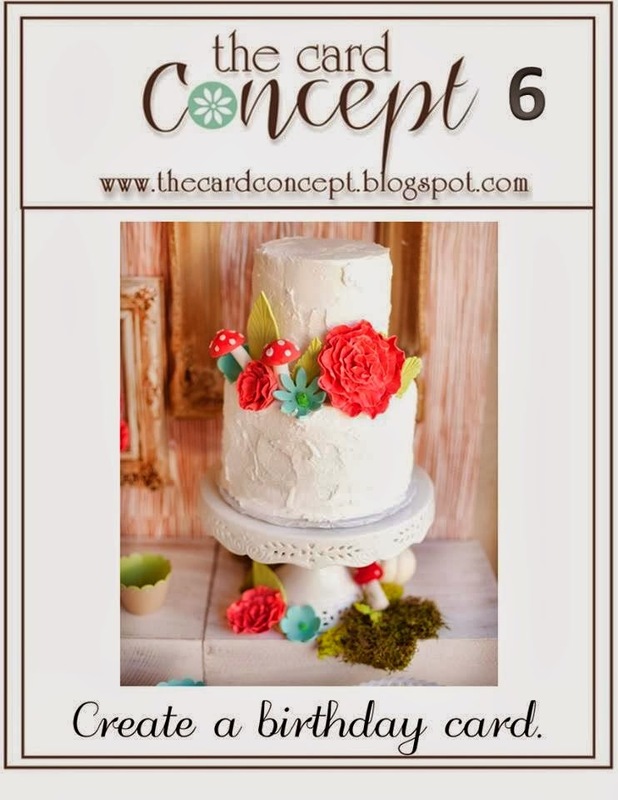 The cluster of pretty flowers on the cake, and the pattern on the cake stand, were the inspiration for my card this week. A direct approach. I was inspired by the texture of the cake and of course,the flowers and beautiful colors! I was inspired by the colours in the photo and the pretty flowers! I added a lot of paper layers to the main panel of my card and a few gemstones to accent my flowers and butterflies. I chose to watercolor an image. While this card has fewer layers than I typically use, I have added gold card stock, gold embossing powder and some glitz with glitter to keep it classy and elegant. I was inspired by the beautiful cake in the inspiration photo. This challenge will end on Monday,March 31 at Noon (PST). 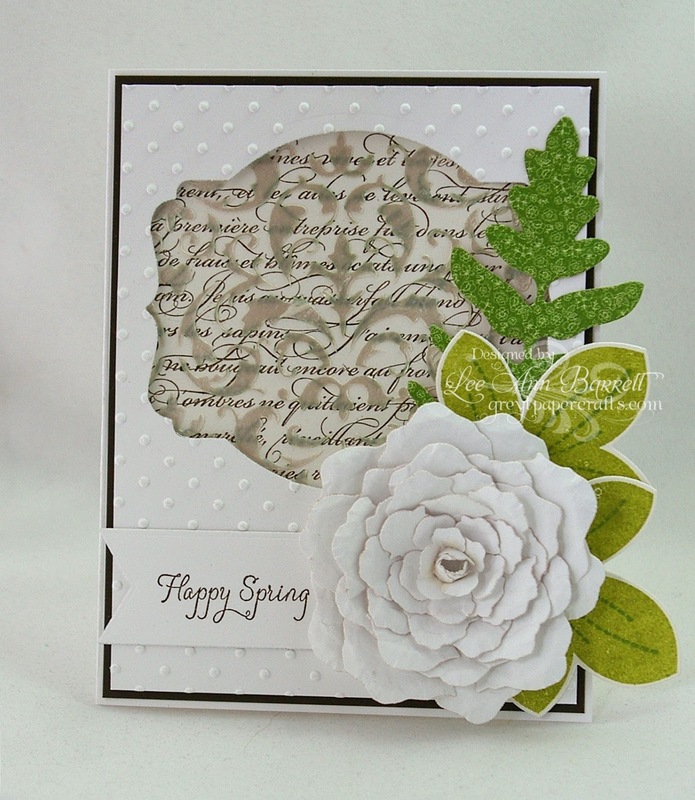 Hello Tracey here with the winner's for The Card Concept challenge #5, even with so many of you busy with family for Spring Break we still had 97 of you join in on the fun colour challenge. All of your entries have amazed us as always and it is so hard to pick our favourites! We hope that you continue to play along with our challenges and will be back to play again for Challenge #6 which goes live in one hour at 5:00 AM (PST). 1. Kay's Choice- Cathy's beautifully decorated tag with that gorgeous butterfly stole my heart! 2. 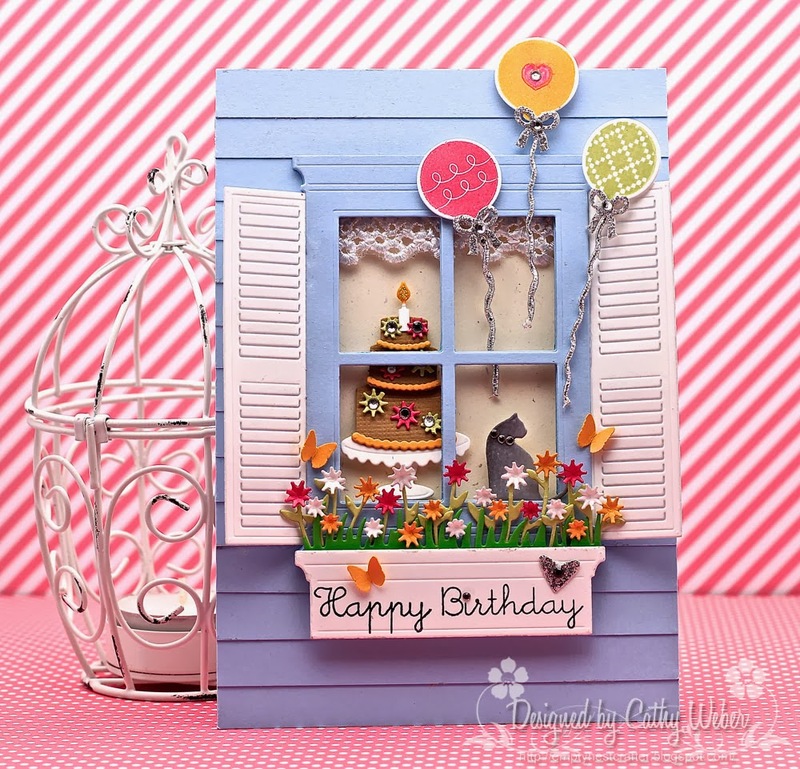 Cathy's Choice: I love Cat's card with the wooden elements and the cute mini banner...so pretty! 3. Lee Ann's choice- I chose Kate's beautiful b'fly. Loving all of the green on green & the design. 4. 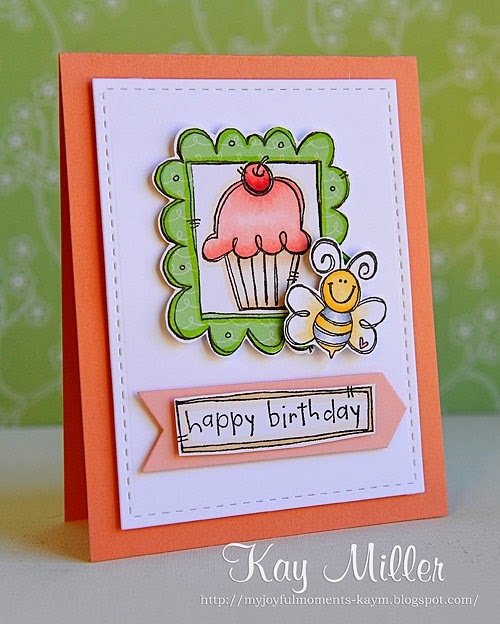 Karen's Choice: Lisa's card design and repetition of elements in different mediums is lovely. 6. 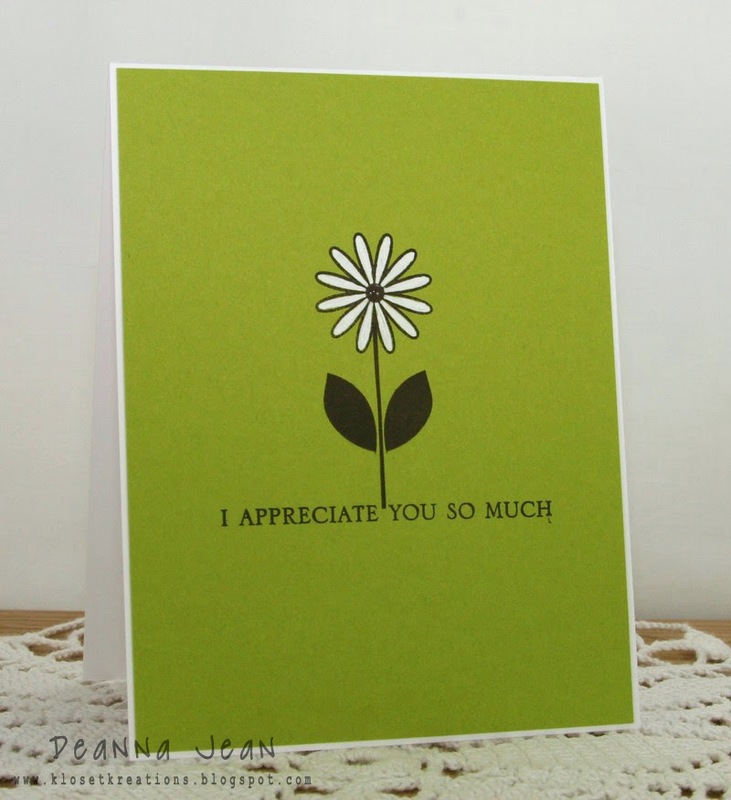 Deanna's Choice: I love how Jen used just a sentiment on her card, yet is still catches the eye. 7. Kerin's choice. Nancy's bright & cheerful layered tulips really caught my eye! 8. 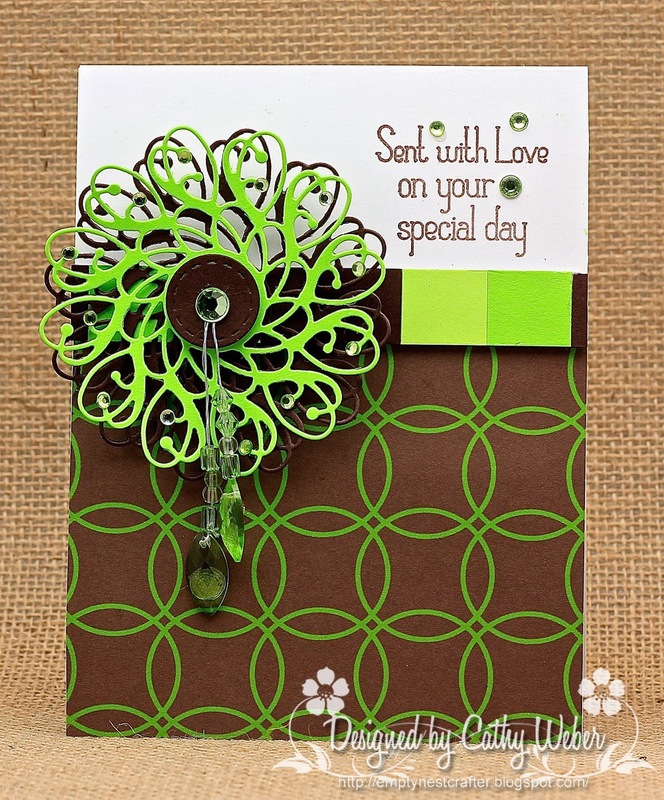 Geri's Choice: I love Mary Beth's balanced design that paired a bold sentiment with dainty images. 9. 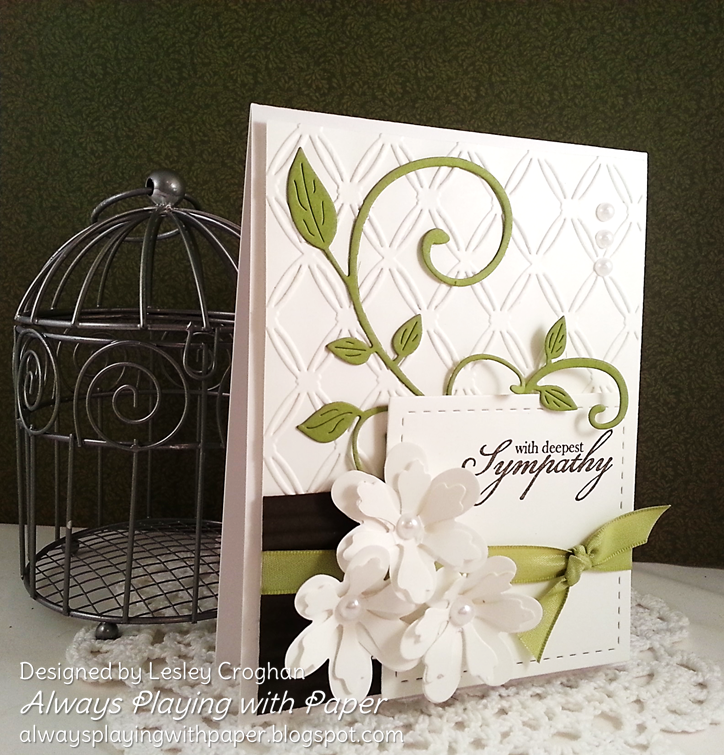 Tracey's Choice: Julie's banner hung by the jute rope is the highlight of her well designed card. 10. 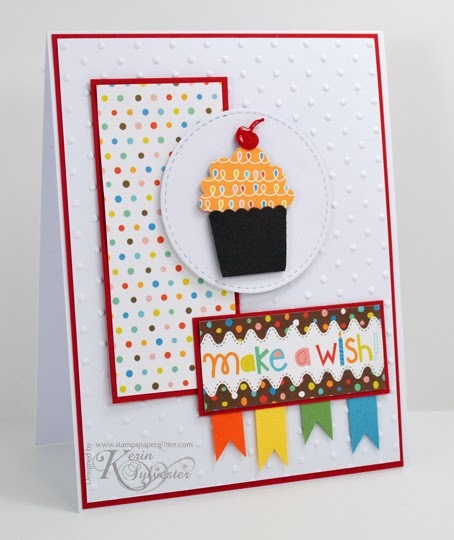 Lesley's choice: Wow, I was taken with Kristie's amazing card! I loved the bold, graphic feel! 11. 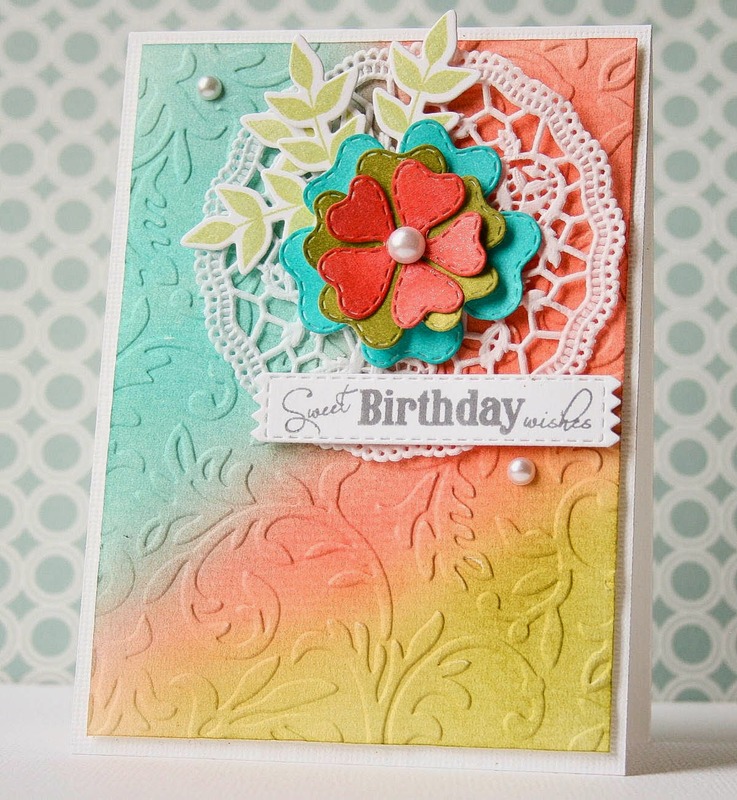 Cindy's Choice:I just love the colors and the clean and graphic design of Sian's card!! 12. 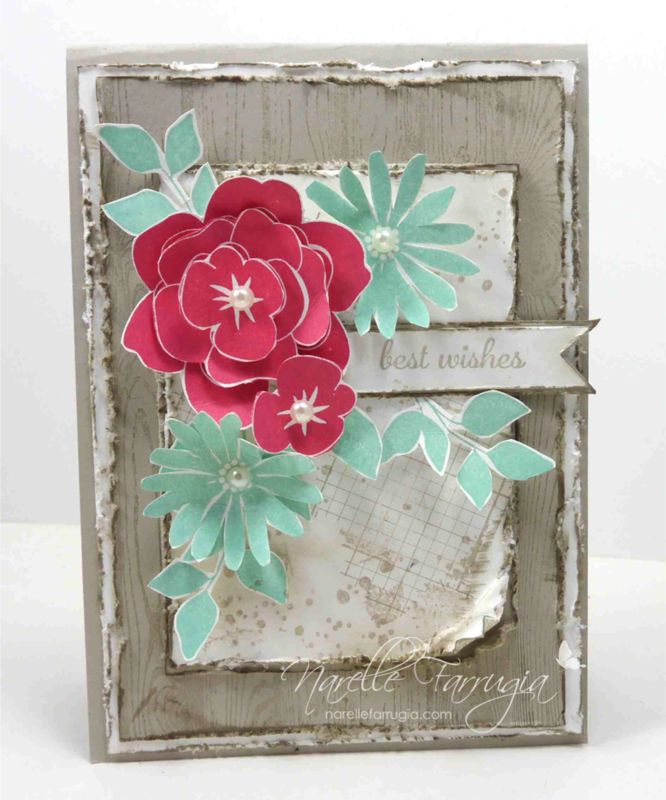 Narelle's Choice: So many gorgeous details caught my eye on this amazing card! Congrats Christyne! 13. 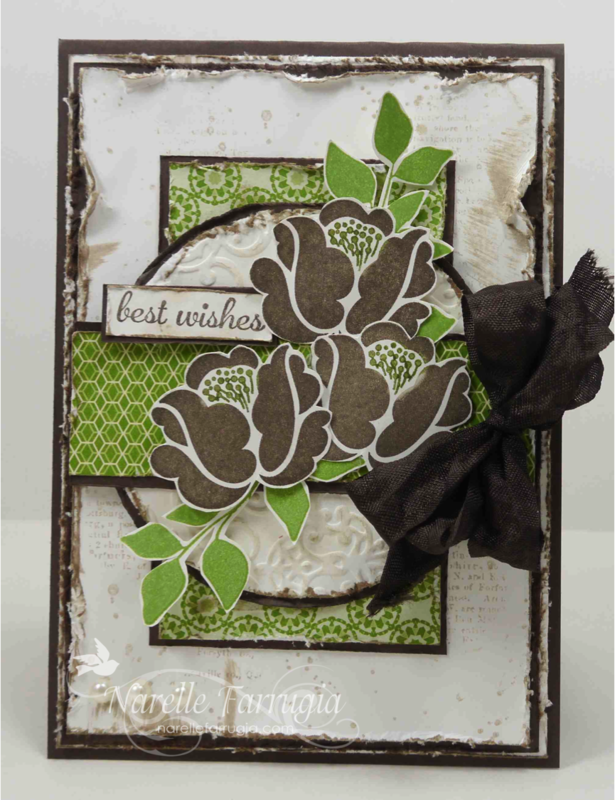 Debbie's choice: Stacey's holiday card, full of texture and sparkle stole my heart - LOVE!!! Challenge #5 ~ Color Challenge ~ There's Still Time! 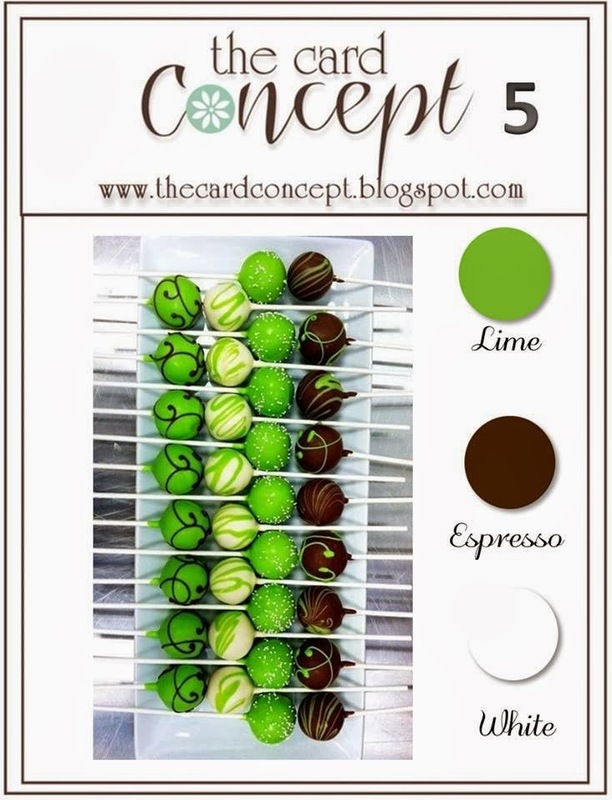 There is still plenty of time for you to play along with our current challenge - use Lime, Espresso, and White! The challenge will end Monday, March 17th at noon (PST). As usual the entries this week are fabulous! Check them out for some inspiration. We have our own Lesley Croghan joining us as our March Classy & Elegant Guest Designer. 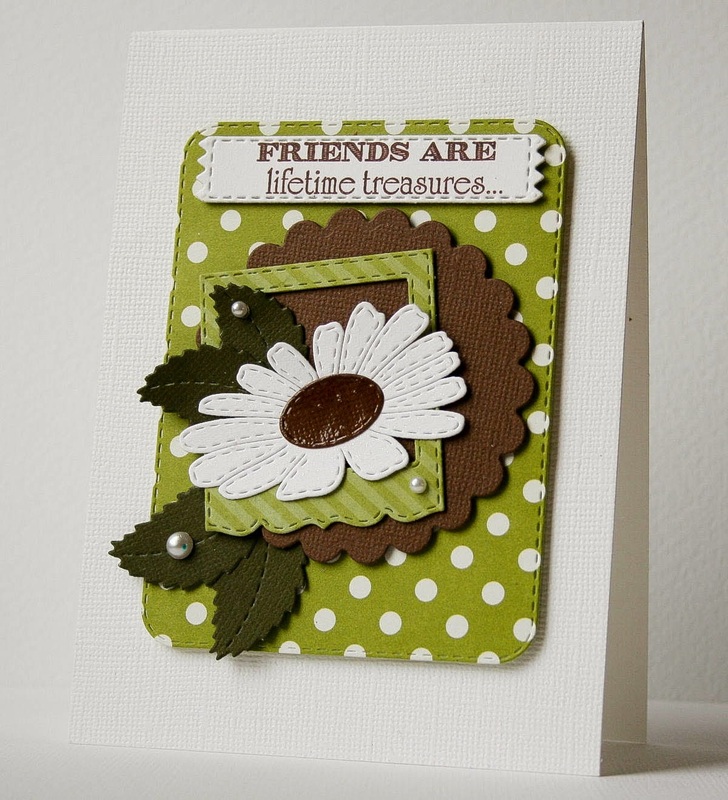 Lesley is the creator of The Card Concept, has a keen eye for design and she is a fabulous designer herself. 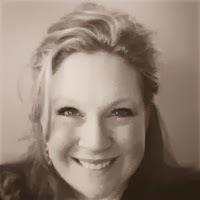 She also creates fantastic challenge blogs. This week we have some colours for you to try! You must use the colours and create your card in one of the styles of the designers. Spray ink can be used on a CAS card and long as it is used in moderation. I was inspired by the contrast of the brown on the green. Add dimension and interest to a simple focal point by 'shading' with darker ink! My card was inspired by the colors in the photo & the graphic pattern created by the sticks of the yummy cake pops! When I saw these colors, I immediately thought they would make a wonderful "guy" card! I took inspiration from the shapes of the cake pops ... they looked like pretty blooms lined up in a row, so I recreated one using a paper flower, glitter chipboard leaves and a fun paper straw for the stem! 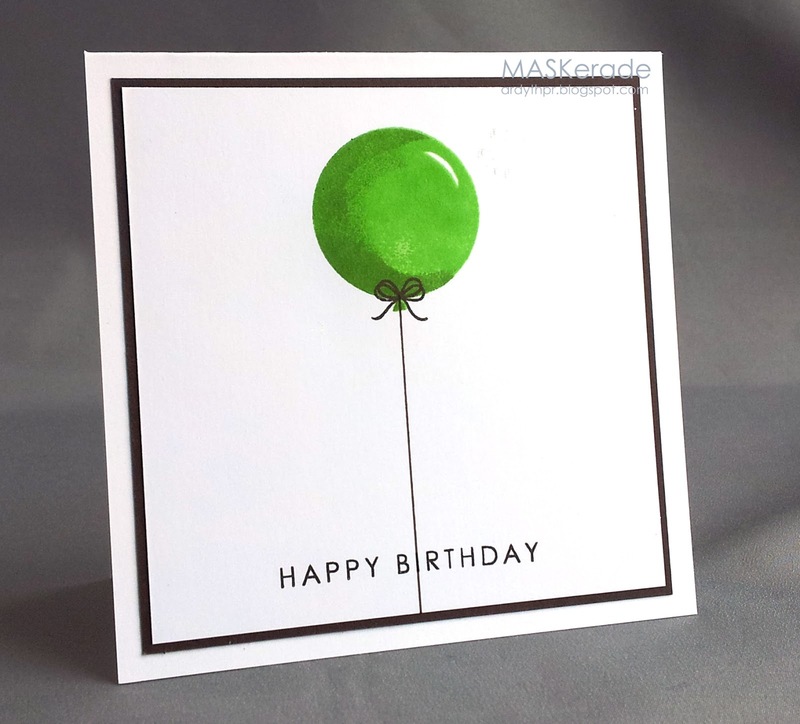 This colour combination inspired a birthday theme for me. The large green '50' was my starting point and I 'Freestyled' from there. First thing i thought of,was some sort of flowers when i saw the colors.So i choose my flower first and went from there. 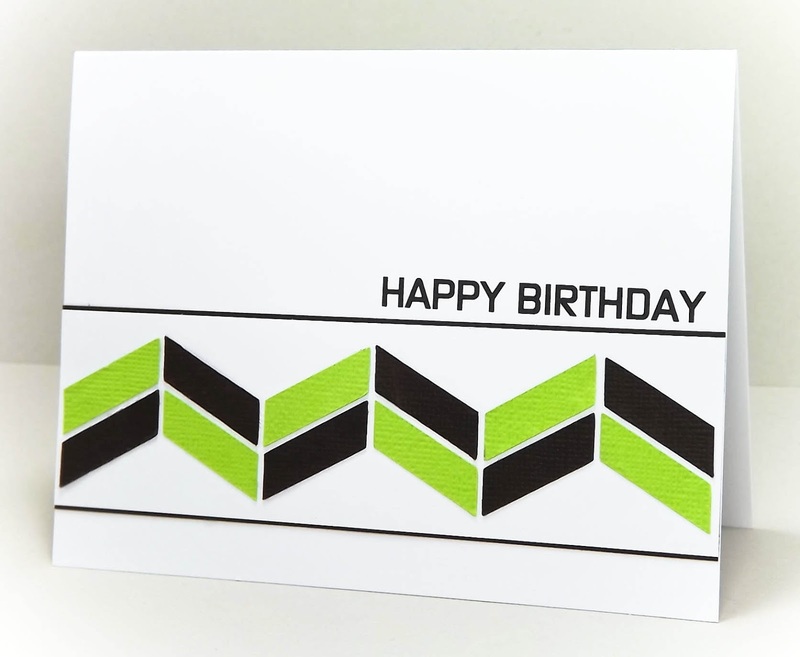 I was drawn to the fresh colours and the lines of the sticks...so I used an embossing folder to mimic them. 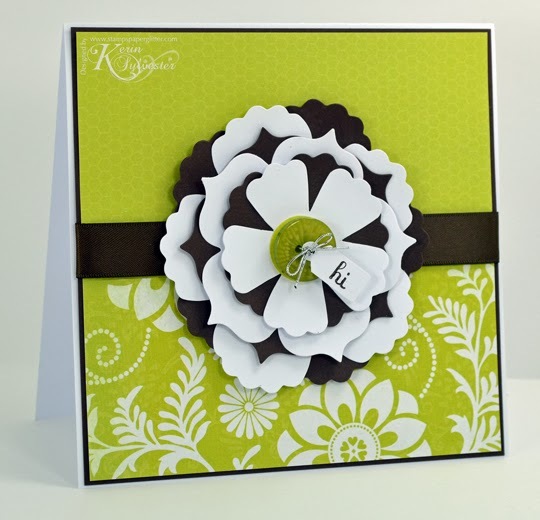 I was inspired by the gorgeous green contrasted with the white and dark brown. The swirls on the candies inspired me to use a flourished template. I was inspired by the decadent chocolate color and circular shape of the yummy treats. This challenge will end on Monday, March 17 at Noon (PST). This week we have some colours for you to try! You must use the colours and create your card in one of the styles of the designers. 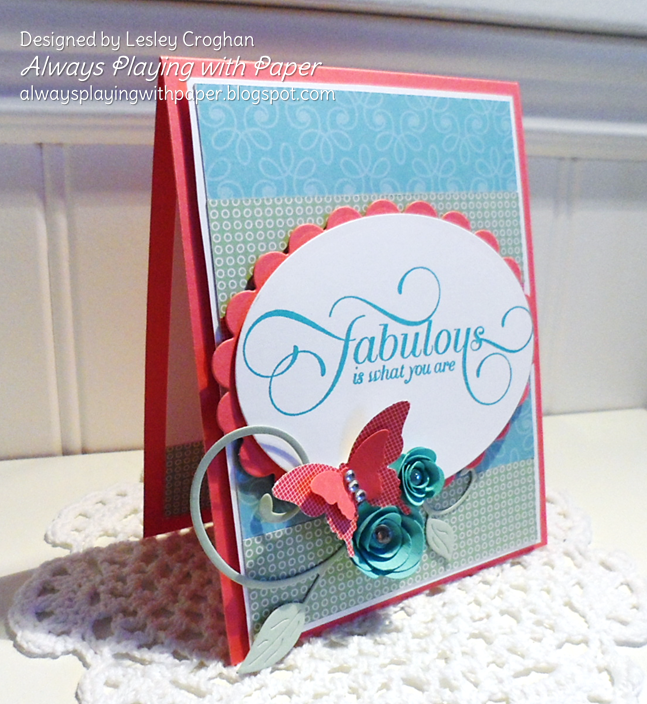 This month our Guest Designer is Lesley Croghan. She is joining the Classy & Elegant Designers. 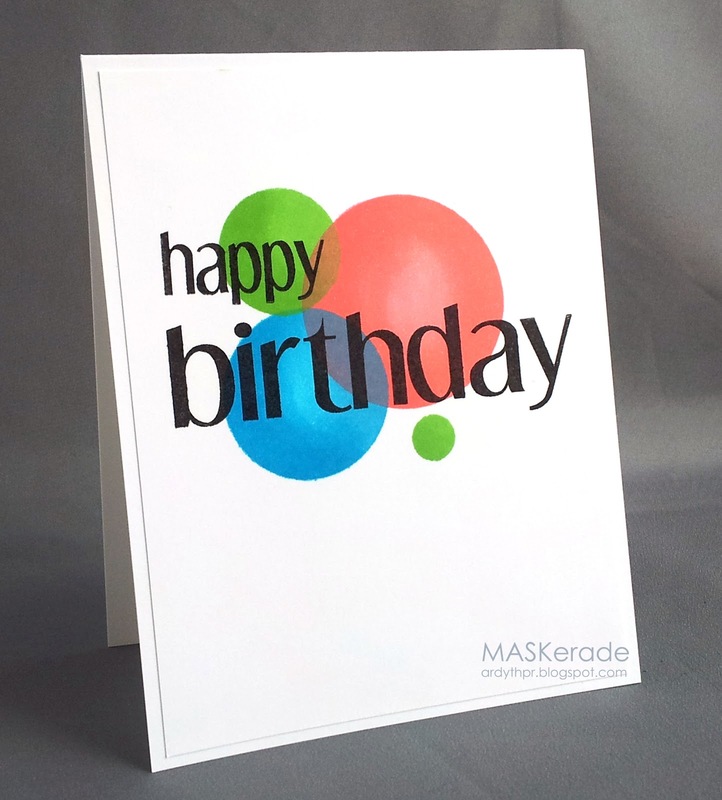 Lesley is the creator of The Card Concept, has a keen eye for design and she is a fabulous designer herself. Welcome, Lesley!